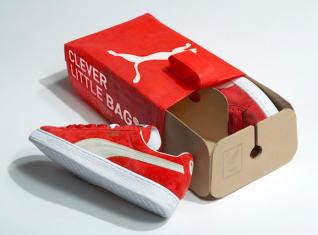 Puma launches "Clever Little Bag"
My roomie Amber L. knows how much I complain about unessary packaging when purchasing an item. Well THANK YOU Puma for finally getting it right. They have created an eco-freindly shoebox that combines the bag/box in one. This is alone makes me want to go out and by a pair. 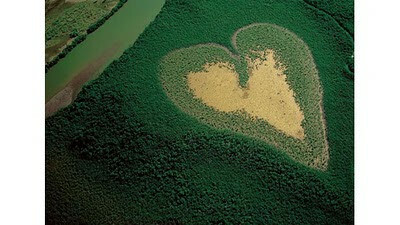 #1: Go to americanforest.org and plant a tree. Thanks to Livy C., I had the opportunity to listen to Steve Solomon, author of Water: The Epic Struggle for Wealth, Power, and Civilization. Solomon talked about the importance of water and the sense of urgency that needs to be taken into consideration since its one of our most important resources. I mean think about... Could you go a day without water? Specials thanks to the RAND corporation for hosting this event and the Zocalo Public Square. For whatever reason whenever I'm with gal pal Victoria P., I always learn another way to be eco-friendly. 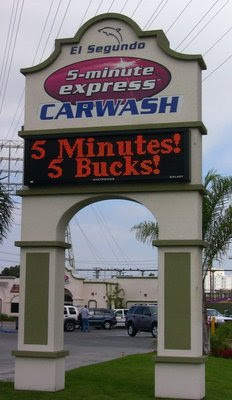 While making our way around the city we came across the El Segundo 5-miute car wash. I was a huge fan as soon as I read a sign that said that they recylcle the water used to wash your car. As much as we all love washing our cars at home, we are actually conserving water by going to a car wash that recycles its own water. If you want to take an extra step, try a waterless car wash substance to clean your car. For more information on waterless carwash products check out ecotouch.net! Check out this Sustainble Fashionista! Being eco-friendly keeps getting hotter. What to do for Earth month? #2. I say it every month and I'll say it again. Sign-up for a Sustainable Living workshop. #4. Forget about New Year's. Make a GREEN resolution now. It's never too late. #5. Google Earth Month and see what you find! If reading the Water Issue from National Geographic isn't enough, take a visit to the Anneburg Space of Photography. The Space partnered with National Geograhic and will be displaying photos from the Water Issue until the middle of June. It's open Weds-Sun. from 11-6pm. Don't wait until the water runs dry to check it out! National Geographic is by far one of my favorite reading materials. I especially love when they have Special Issues. For the month of April, they have introduced the Water Issue. The enitre issue is AMAZING! 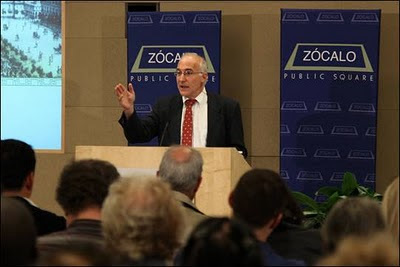 One of the coolest programs I came across is SODIS. This program developed a way to disinfect water using the sun's energy. Check out more at nationalgeographic.com! On April 22, many people will be celebrating Earth Day. This day was created back in the 70's to promote earth awareness. Get a jump start now and celebrate it all month long! There are plenty ways to get involved. What will you do this Earth month?